One bead on a string for swap. 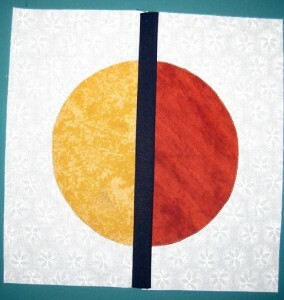 I hope it’s okay that I machine appliqued the circle. Machine applique is perfectly OK. Your block looks perfect.